A Wylie Flower Shop exclusive. 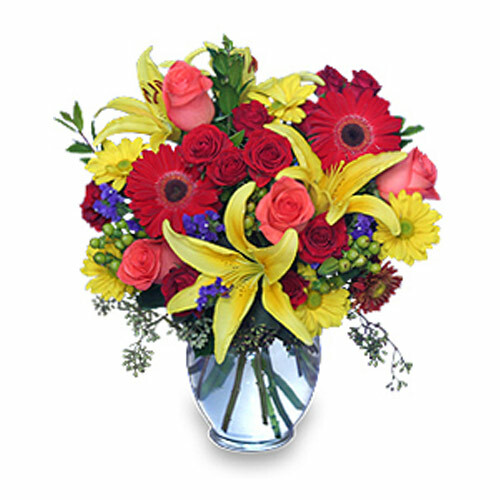 Our designers will create a one-of-a-kind bouquet with the freshest and most beautiful flowers available. A Wylie Flower Shop exclusive. Bring cheer into any dreary day with this colorful ray of sunshine! A Wylie Flower & Gift exclusive. Play Ball! 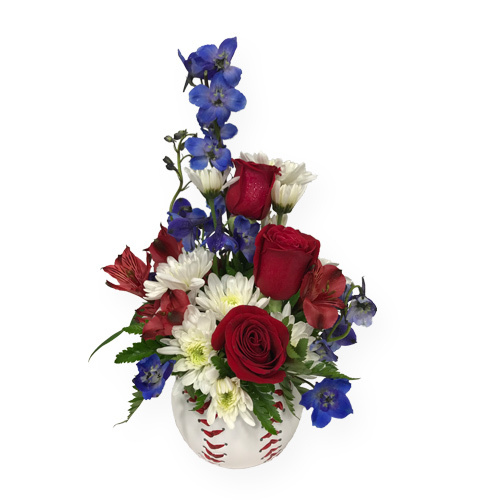 Knock it out of the park with this great baseball themed gift. 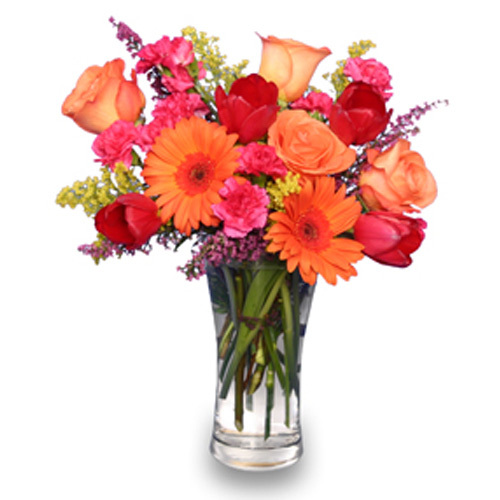 Design contains beautiful red gladiolus, red hypericum, & decorative salal in a clear vase. 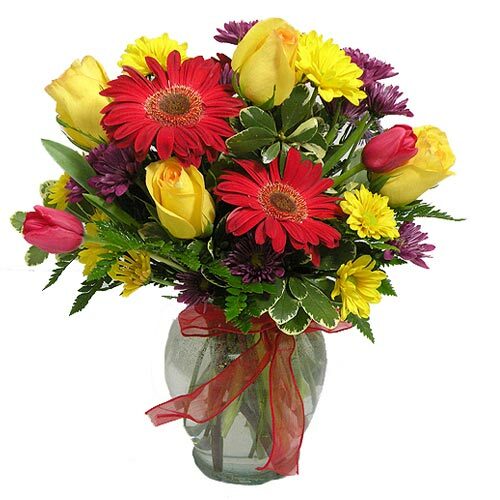 Everyone's emotions will rise and shine with this bright, delightful basket of roses, alstroemeria, pompons and more!